Follow along as the InSight spacecraft crosses millions of miles to the red planet. NASA's new 8-episode podcast series, On a Mission, is a ride-along for its InSight mission to Mars. InSight will look beneath the Martian surface for a deeper understanding of its composition and history. Each episode makes for a compelling half hour of listening. It's called "InSight," and it's NASA's latest spacecraft headed to Mars, scheduled to arrive there on November 29. As always, it's a dicey affair, with less than half of previous missions having safely reached their destinations. "When things go beautifully it looks easy, but it's really not easy," Sue Smrekar, deputy principal investigator for mission, warns. "Any kind of exploration is just not easy or guaranteed — ever." That's also what makes a mission exciting. To share the thrill, NASA has just launched an eight-episode podcast series, On a Mission, that allows anyone to tag along with InSight and the people behind it. You can listen to the podcasts on NASA's own site, the InSight mission site, Soundcloud, and through Apple Podcasts. On October 29, NASA posted the first two episodes. Insight is an anagram for "Seismic Investigations, Geodesy and Heat Transport." Where previous Mar missions have explored the Martian surface, InSight is designed to go deeper, giving Mars "its first thorough checkup since it formed 4.5 billion years ago." Launching from California's Vandenberg Air Force Base on May 5th, the plan is for the mission to last a little over a year, that is, 708 Martian days, or "sols." (That's 728 Earth days.) The craft carries the usual wealth of instrumentation, chief among them SEIS, HP3, and RISE. The Seismic Experiment for Interior Structure is a seismograph with accompanying wind, pressure, temperature, and magnetic field sensors to fine-tune its performance, contained in a dome-shaped housing. It sits on the ground measuring surface vibrations as a means of discerning what's deep down below, possibly including water and even active subterranean volcanoes. The Heat Flow and Physical Properties Probe is essentially a thermometer in the form of a mole-like mechanical probe that burrows into the ground to take the planet's temperature. It can go nearly 16 feet down, farther than previous missions have been able to go. The Rotation and Interior Structure Experiment precisely measures the position of InSight to detect planetary wobbling that could indicate the presence of additional materials in Mars' iron-rich core, such as water or other elements. RISE antennas (middle) and InSight's solar array. In addition to presenting InSight's science, NASA is revealing the human side of the Mars story, inviting the listener in on its exhilarating successes and heartbreaking failures. You'll hear what it's all meant, and means, to the many hard-working, brilliant people that labor to shoot these spaceships 300 million miles into space toward Mars, in the case of InSight, traveling about 13,000 miles an hour. The first episode is called simply, 'Getting to Mars is Hard' and after listening to it, you'll know what they mean. It begins with the recollections of science journalist Leslie Mullen arriving at JPL, "a jumble of buildings at the foot of the San Gabriel Mountains, and just down the road from Hollywood," two years back. Along with Bruce Banerdt, lead InSight scientist, and Rob Grover, in charge of InSight Entry, Descent and Landing — in the middle of the Martian dust-storm season, no less — they reminisce about previous missions and the obstacles ahead. The second episode, 'Music of the Spheres', explains what can be learned about Mars through seismology—about as much as we've learned about our own world. It's about sound. Earth rings, and Mars does, too. Really, they ring? As the podcast explains, "We don't hear the Earth ringing because these rock vibrations, called seismic waves, have a frequency spectrum below one hertz. The lowest frequency human ears typically can hear is 20 hertz." New episodes will arrive weekly leading up to the final installment as InSight arrives at Mars and attempts to land, fingers crossed. All of the episodes are 20-30 minutes long and promise a great ride. 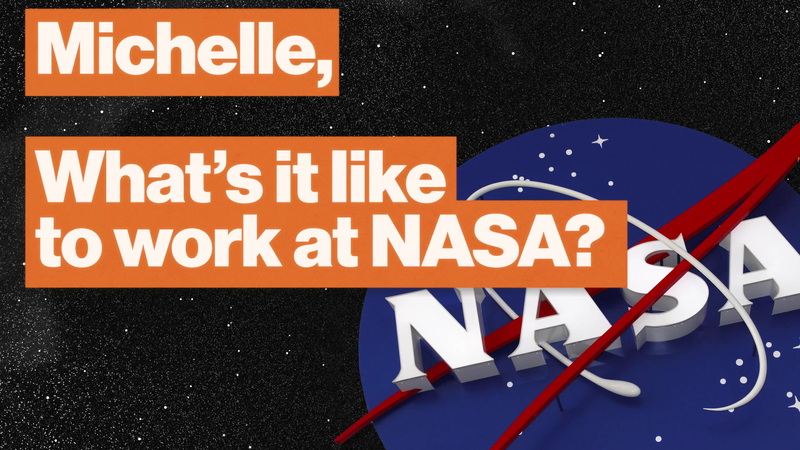 What's it like to work at NASA?